I wrote this blog months ago. It was during the non-stop, little sleep, stressful hustle and bustle of emotions and prepping to sell our home... Such sweet timing for me to look back on this. "We have heard it so many times before. Moving is one of the most stressful things a marriage can go through. We've also laughed behind closed doors at that statement a few times. "It would never be stressful for us becuase we are pretty laid back and don't have that much stuff to move anyways." Well, let me tell you, I was naiive! The last three weeks have been so fast paced, that at times I've fallen asleep suddenly on the couch in the worst positions. The knots up my back and neck are probably visible at this point! But today feels different. This morning I woke up and did my yoga and sat in prayer with my Lord. Just thanking Him and sitting in awe of all He has provided. But also sitting and telling Him my fears. This is not an easy move. It's a huge, scary, massive jump, and we pray constantly that He will keep us in His perfect will and protection. When the kids woke up today, I told them it was a hard work day. Don't expect me to sit, to play, to eat, to brush my teeth or even breathe. Today is the day the photographer comes. The lady who will take pictures of our home that will eventually be on the listing for our home. The pictures that will say, "Look how pretty I am!" And, "I'm for sale!" Who will buy our home? For three weeks we have painted every single wall with at least two coats of the most beautiful light gray color; the kitchen, the living room, the dining room, the hall, the kids rooms, the bathrooms, our room. Just wanted to make that clear... yes, the whole house. We painted the kitchen which was a much more tedious endeavor than I expected. (Nikki and Chelsea, your help with ALL the painting was the biggest blessing!) We also painted all the baseboards and many other projects. The week before, my sweet mother in law was over almost nightly to help me clean, organize, and stage the house for the pictures and our upcoming open house, which took much more work then I exptected! When our sweet photographer arrived, the house was sparkling. Nothing out of place, everything clean, furniture placed perfectly. She took the pictures and then left. Then my mother and father in law left. Then we packed a couple more boxes and my husband offered to take the kids on a date so I could rest. I tried not to look too excited as I squealed how great of an idea that was. I mean, he could really use some one on one time with them anyways, right?? But as they drove away, I felt the tears coming as I slowly walked inside. Inside my home that was beautiful, clean and quiet. Inside my home that I will always be so grateful for. The Lord handed us this home on a silver platter, there was no reason we should have been able to live here other than Him. Sitting in this home of ours that is filled with rich memories, hoping we are making the right move, I sank to my knees and sobbed. It was the richest cry I have had in a while and I was so happy to get it out of my chest where it had been balled up the last month. We have prayed, and talked, and planned, and sought counsel over this big move for a year. An entire year of going back and forth and always landing on feeling this is what we were supposed to do. I've told my husband a few times that I am so sure that this is what God has for us, but here is the thing... I am going to be a mess until we drive off and it's time to celebrate the adventure He's blessed us with. And tonight, sobbing in my entry way, that all came true. Oh how I will miss this home, how I will miss our parents- our family, how I will miss our best friends, how I will miss the familiarity of this state. My sweet little home, I am so thankful for you and I am going to miss you. But Lord, I trust you and I can't wait to start this great adventure! We can't believe you have provided us with this opportunity and we are ready to run!" What a crazy couple years we have had that has brought us to this place. From coast to coast; California to North Carolina. I'm so thankful for this plan that He set deep into our souls, and that He continued to water even amidst the daily struggles we had been facing. I remember having moments of thinking I'm crazy for holding onto this dream. And yet now, I'm writing this from my computer in North Carolina, with so much joy over all the 'new' He has provided. It feels like a competely new life, a clean slate. I feel washed bare like a newborn learning how to walk all over again, taking one baby step at a time with my hand in my Lords. We don't have a long term plan as of yet, and maybe He's "cured" us of that mentality all together and we never will. All we know, is this is 100% where we are supposed to be... and we love it! Last night, everyone went to bed early but I stayed up. I sat down on the couch and felt butterflies throughout my body. This actually feels like home already. I really love my new home, I love this comfy couch, I love the layout of our home, I love these neighbors, I can't wait to start attending chapel with Cody next week, I love Cody's new work schedule, I love how our love has blossomed even more through all of this.... My list trailed on and on and I just praised Him for it all. My God... You are such a wonderful God. Even though those hard times can be so challenging, when you step out of them and see clearly, you can see His purpose and guidance and growth and love poured all over it. Maybe there are parts that you'll never say were fun, but we can feel His perfect peace and joy from the God of the universe. He intimately knows and loves us. If you are in a valley, cling to Jesus. Hit your knees, cry out to Him, read His word that's full of His rich truths, get plugged in at His church- and then keep doing that on repeat. Don't stop, He longs for you. I love what I read today about Solomon. When he finished makeing the huge, ellaborate temple for the Lord, the Bible says He stood before all of Israel and raised his hands high. Then he kneeled down and raised his hands to the heavens and said, "Oh Lord, God of Israel, there is no God like you, in heaven or on earth, keeping covenant and showing steadfast love to your servants who walk before you with all their heart... You spoke with your mouth, and with your hand have fulfilled it this day... Behold, heaven cannot contain You, how much less this house that I have built! 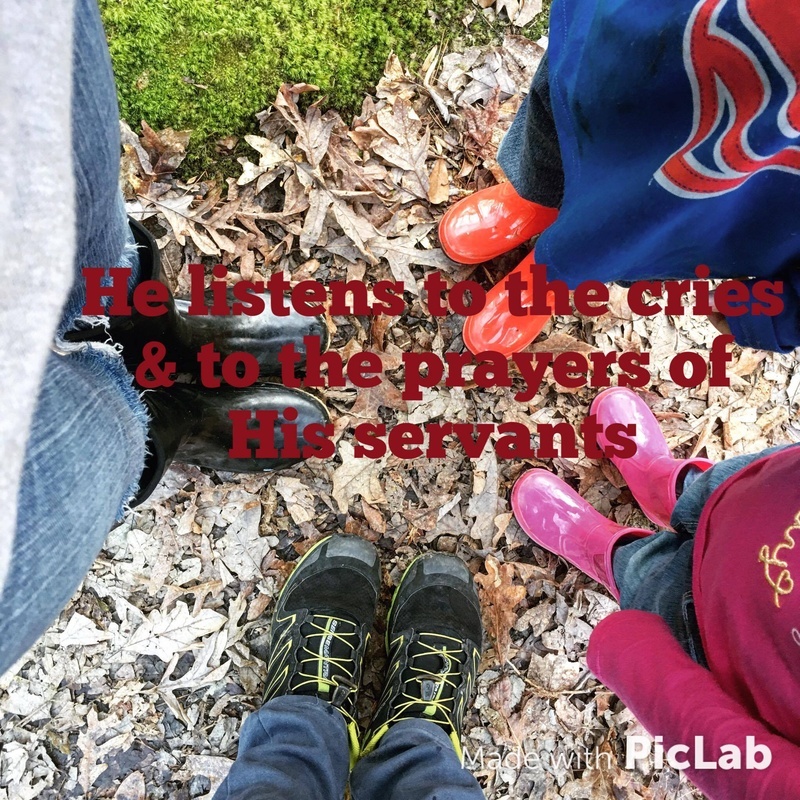 Yet have regard to the prayer of your servant and to his plea, O Lord my God, listening to the cry and to the prayer that your servant prays before you..."
Oh Aly! What a blessing it was to read this. I'm praising God with you for the providence in your life and turning your mourning into dancing. What a God we serve!!!!!!! We're so thankful he made this possible when it felt impossible and were so privileged to get the opportunity to pray for you guys! We love you!